With new restaurants opening up all over Brooklyn, and many others closing, it’s time to pay tribute to these old-school restaurants that have been open for years. In a city filled with constant change, these restaurants offer a peek at Brooklyn throughout the past decades. Many of these old-school haunts evoke charm from a previous generation. Get schooled in Brooklyn history at these landmark restaurants. From pizza pies at a historic Coney Island restaurant to roast beef sandwiches at a Sheepshead Bay fast-food joint, get a taste of Brooklyn's food history at these eight spots. A trip to Coney Island isn't complete without visiting a hot dog shop that has been open for more than a hundred years. Head there on July 4th to watch its annual hot dog eating contest. This restaurant on Neptune Avenue in Coney Island, just an avenue away from the beach, has walls crammed with old photographs and has served some of the best thin-crust coal oven pizza in Brooklyn since 1924. If you want to taste authentic NYC pizza, you must head to Totonno's Pizzeria Napolitana. Ferdinando's Focaccia, located on Union Street in the Carroll Gardens waterfront district, is a classic. The restaurant opened in 1904 and serves some of the tastiest Sicilian food in NYC. Order its famous ​panelle sandwich (fried chickpeas) or a rice ball and enjoy your food in its atmospheric old-fashioned family-owned restaurant. Monte's, in the Gowanus section of Brooklyn, has a menu of classic Italian food and pizza. The restaurant opened in 1906 and truly evokes authentic old-world charm. 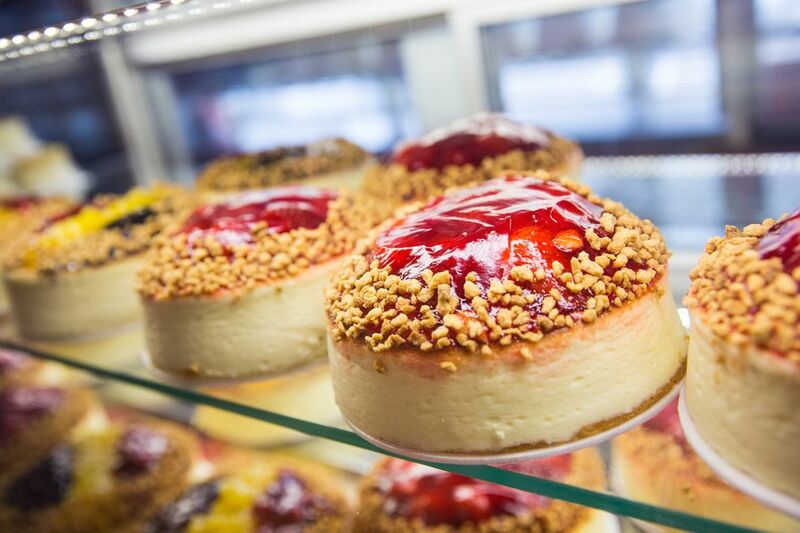 Since 1950, Brooklyn folks have been devouring Junior's signature cheesecakes and overstuffed sandwiches at this Brooklyn deli. Located in the heart of downtown Brooklyn, Junior's is a landmark restaurant. The walls are filled with historic pictures of Brooklyn and other memorabilia. Located in Sheepshead Bay, this kitschy old-school fast-food restaurant is a must-visit. Dine on roast beef sandwiches and pizza and wash it down with lemonade. If it's your birthday, the restaurant lets you spin a wheel (very similar to the one on "Wheel of Fortune") to win free food. Afterward, stroll on the footbridge over the bay, which is right across the street. Warning, you might need to pop an antacid after dining here, but it's totally worth it. An added plus, it has a parking lot. Order a hot roast beef sandwich or a Gargiulo burger at Brennan & Carr. This beloved rustic Brooklyn restaurant opened in 1938 and is still al local favorite. Although located a bit off the beaten path in Midwood/Sheepshead Bay, it's definitely worth the trek on the subway.